Real Madrid have reportedly made an approach to former Chelsea and Tottenham manager Andre Villas-Boas about replacing Zinedine Zidane this summer. The Spanish giants have been left without a head coach after Zidane’s shock recent decision to step down at the Bernabeu after an immensely successful spell at the helm. The French tactician will prove a hard act to follow, and many Real fans won’t be too inspired by their club’s choice here. 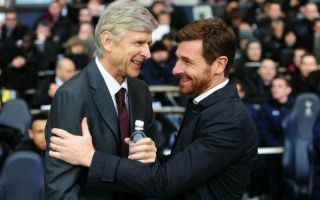 According to RMC, Madrid have made contact with Villas-Boas about taking over, despite the Portuguese tactician failing to truly live up to his potential in the game. Could Andre Villas-Boas return to management with Real Madrid? Seen as the next big thing in management after some incredible work at Porto, AVB was snapped up by Chelsea, but he failed to last the full season in his first year in England. He went to Tottenham next and perhaps enjoyed a little more success, though a dip in form in his second season saw him depart once again. Most recently, Villas-Boas worked in the Chinese Super League, so it remains to be seen if taking a big job like the one at Real Madrid is really something he’s capable of.